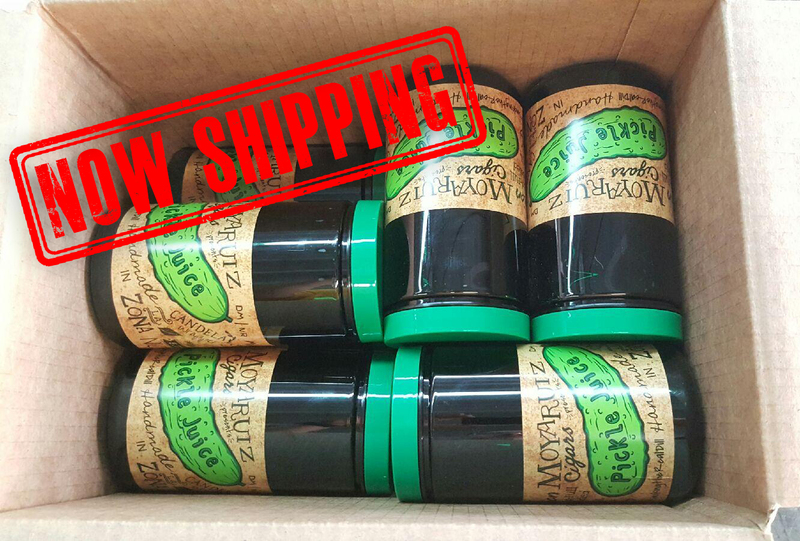 MoyaRuiz has confirmed that Pickle Juice, the brand’s St. Patrick’s Day Seasonal release featuring a candela wrapper is on its way to retailers. The company says retailers can expect shipment early next week, just in time for St. Patrick’s Day. Pickle Juice is made at the La Zona factory in Esteli, Nicaragua and is La Zona’s first candela blend. The cigar comes in one size – a 6 x 50 Toro. The cigars are packaged in a green jar resembling a pickle jar where each jar is hand-numbered. There are 13 cigars per jar. There are 50 retailers that will be receiving Pickle Juice. Each of the retailers will receive a total of ten jars.